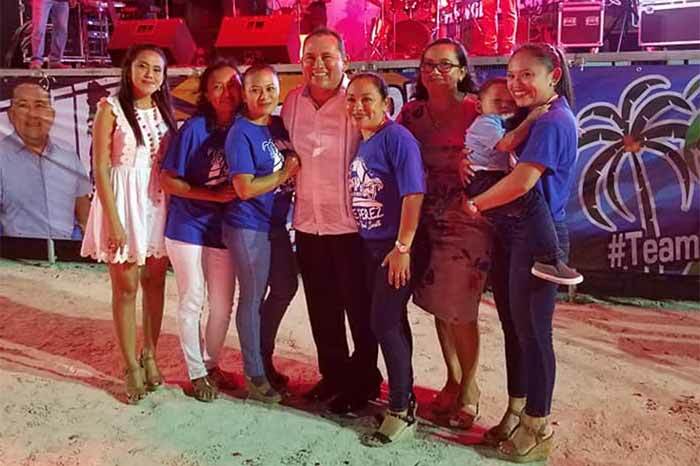 On Saturday, October 13, 2018, Party supporters of the Belize Rural South constituency gathered at the Saca Chispas field on San Pedro, Ambergris Caye to witness the endorsement of Andre Perez as their new Standard Bearer. The new BRS Executive Committee, with representation from both San Pedro and Caye Caulker, was also sworn in by Party Chairman Henry Charles Usher. Special Awards of Recognition were presented to Party Stalwarts from both Caye Caulker & San Pedro. A tribute to the late Milo Paz was presented by Maestro Angel Nunez. The convention featured dynamic speakers including: Sen. Valerie Woods, Dolores Balderamos Garcia, Hon. Jose Abelardo Mai, Hon. Kareem Musa, Hon. Florencio Marin, Deputy Party Leader Hon. Cordel Hyde and Party Leader Hon. John Briceno. Standard Bearer Andre Perez pledged his full commitment to the people of BRS and with hard work, will deliver victory for the PUP in Belize Rural South.